Though free jazz has existed for over half a century, it remains an acquired taste for many listeners who prefer traditional forms, a reliable beat, attractive harmonies, and hummable melodies. 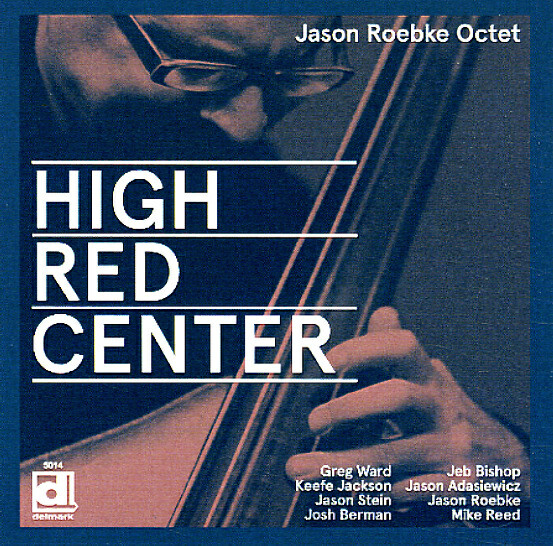 For those who might wish to be introduced to moderately free jazz, I recommend the music of Jason Roebke’s octet, as performed on High/Red/Center. Roebke’s tunes (he wrote them all) combine composition and free improvisation, though where one ends and the other begins is not always obvious. Some are relatively conservative, while others are mainly what might be called out, or at least novel. Accurately titled, “Slow” is a good starting place. Though composed, it sounds mostly improvised. It begins with miscellaneous, seemingly haphazard squeaks that are possibly the aural equivalent of curlicues on a Miró painting, such as “Antes de Perecer.” Though the squeaks of a few musicians continue throughout the piece, other instrumentalists establish a six-note, riff-like theme over which the curious sounds are played with increasing intensity until the performance subsides into tranquility. In their apparent randomness, the introductory sounds of “Dirt Cheap” are similar to those of “Slow.” The ones on “Dirt Cheap” are odd, with some resembling gurgling fish, or perhaps someone gargling. At least as surprising as these sounds is what follows them: old-time, slow dance music that hints at the melody of “On the Alamo.” One can imagine a vocalist singing lyrics to it through a megaphone. The beat continues as bass clarinetist Jason Stein solos. As happens on “Slow,” on “Dirt Cheap” the volume increases during the solo; then, it decreases as the group concludes the performance with more dance music. “Dirt Cheap” includes both new and very old music. Though it has repeated themes (or sound patterns) that are probably composed, the title tune is more adventuresome than “Dirt Cheap.” Over a rhythmic base, it begins with miscellaneous sounds (a Roebke hallmark) that lead to discordant unison playing by the band, à la Sun Ra. Alto saxophonist Greg Ward solos, the band repeats an eight-note phrase, and tenor saxophonist Keefe Jackson solos unaccompanied until the band enters behind him, playing sedately. Vibraphonist Jason Adasiewicz, the leader (on bass), and percussionist Mike Reed interact before being joined by the band. The ensemble concludes this performance abruptly. Much of the music on this CD is hectic, but some is not. Two selections are melodic, subdued, and lovely. 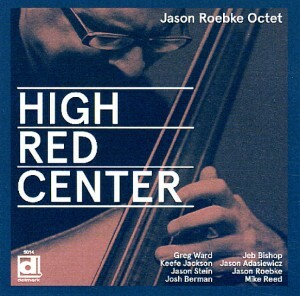 Characterized by pretty harmonies, “Ten Nights” features trombonist Jeb Bishop; Greg Ward is the only soloist on “Shadow,” which has a late-night feeling. Roebke writes and his group performs ambitious, challenging music that is, nonetheless, accessible. That on High/Red/Center–unpredictable, often cacophonous, and always idiosyncratic–could well serve as a palatable introduction to creative music that is far from mainstream.